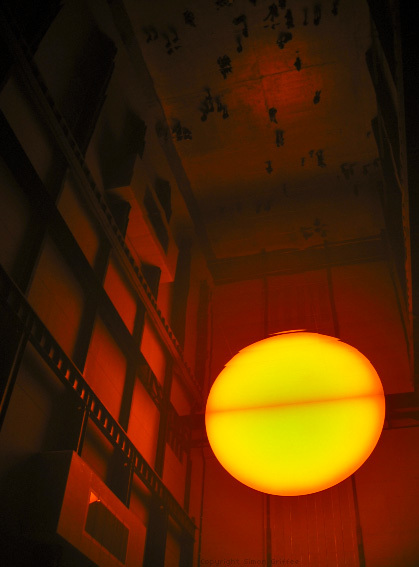 An artificial half-sun is reflected off the ceiling in Turbine Hall along with spectators at the Weather Project (Olafur Eliasson.) in the Tate Modern (Museum. ).